Third Man Books is publishing a new book about the Stooges as told by Iggy Pop. Pop didn't actually write the book, but he spent two days candidly rehashing stories from back in the day with author Jeff Gold & contributor Johan Kugelberg. Total Chaos: The Story Of The Stooges will also include rare and never seen before photos of the Stooges. The official release date has not yet been announced, however Third Man reveals it is due out in "Winter 2016." 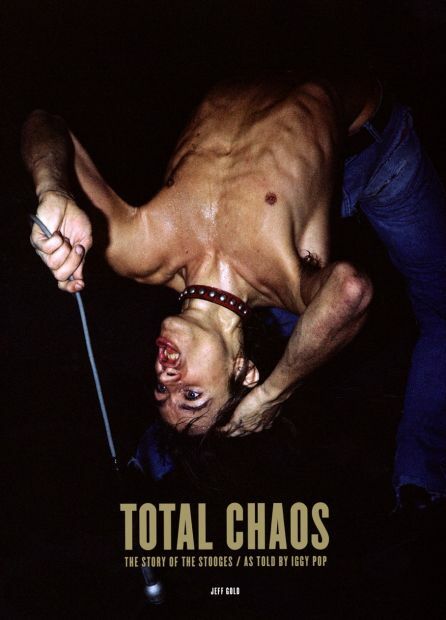 Read more about Total Chaos: The Story of the Stooges here. Iggy Pop his new album Post Pop Depression in March. Don't miss the legend tonight on Jimmy Kimmel.